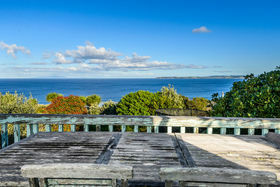 Million Dollar Views – Without The Price Tag!! 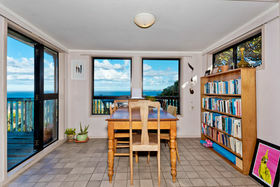 Situated on one of the best viewing points on Barrier View Road, this property enjoys a nearly uninterrupted expanse of Pacific Ocean views. 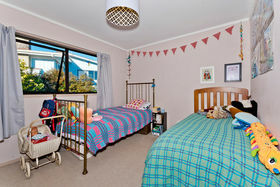 With ample scope for renovation & redecoration, the near-original condition, split-level 80's family home offers exceptional potential for adding value to a prized location. 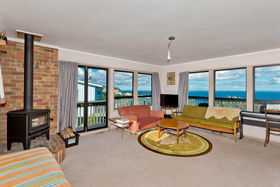 •	Upper level lounge, kitchen & open plan dining open out onto wrap -around decks; watch the sun rise over the Pacific Ocean! 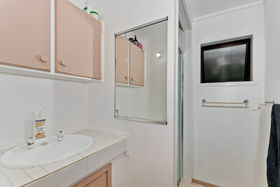 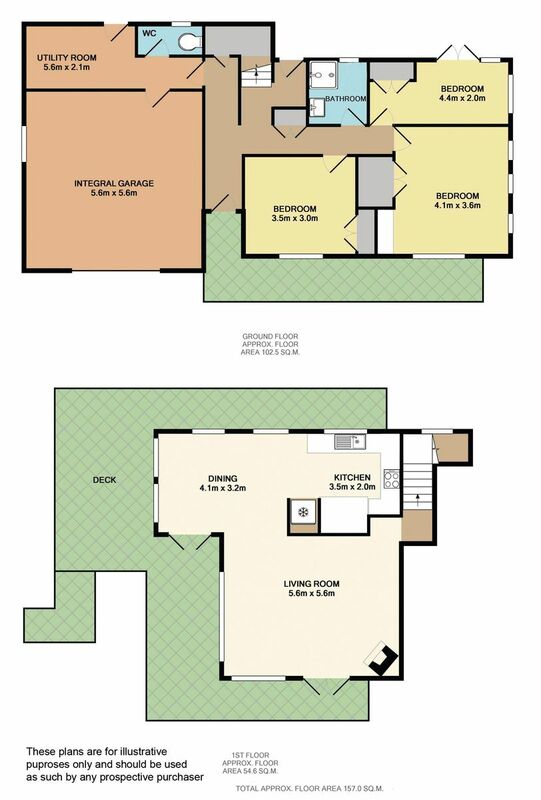 •	All 3 bedrooms (2 double & 1 single) are on the mid-level, opening to decks on either side. 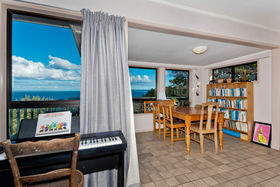 •	Huge basement with garage & workshop/studio/storage room; ripe for remodelling to take advantage of the sea views. 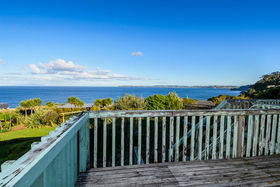 •	Potential renovators will be delighted to know that several big-ticket items have already been done, including resealed watertanks, new fireplace, recently reroofed & upgraded septic system. 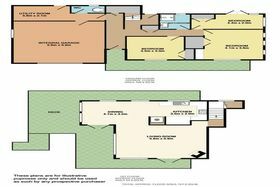 •	Approx. 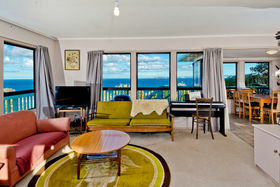 300m via the native reserve walkway to a delightful pebbly beach & Daniels Reef surf break. 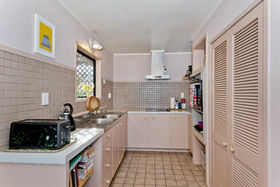 •	Only a bit further to Leigh shops, primary school, wharf & boat ramps. 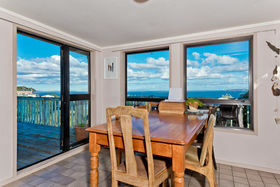 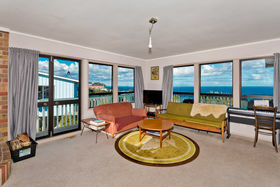 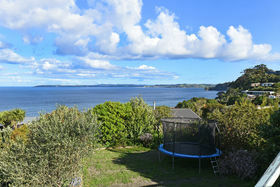 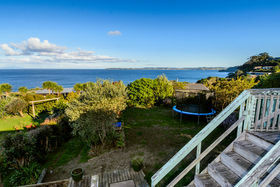 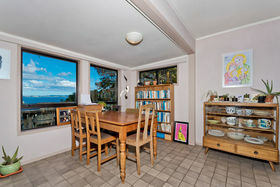 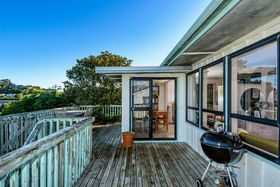 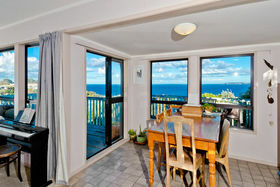 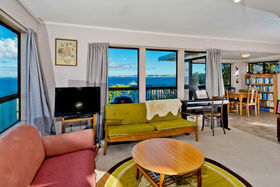 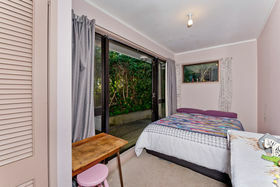 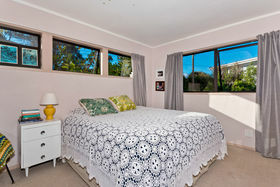 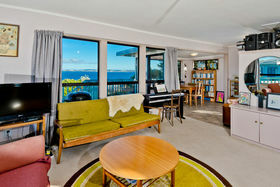 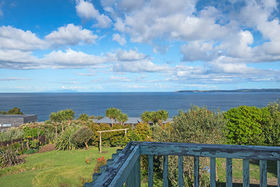 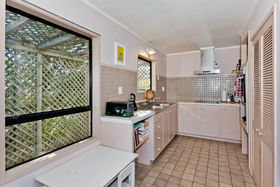 •	Less than 15 km to Matakana, with famous fishing grounds, fabulous beaches & marine reserve close by. 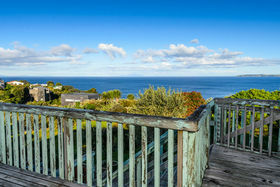 Capitalize on the location to maximise your future value! 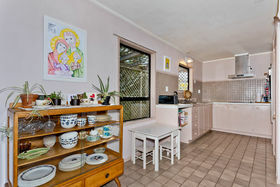 Call Angela to view. 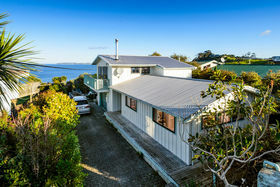 Leigh is an outstanding little community, located in one of the most visually spectacular places to live in New Zealand; it's a laid-back, family-friendly village that is currently experiencing a renaissance of business & community activities. 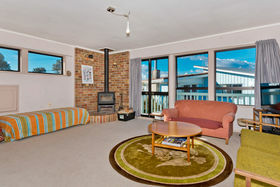 If you would like to know more, please visit http://www.leighbythesea.co.nz. 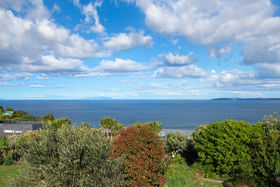 For information on the vineyards, markets & glorious beaches of the wider Matakana Coast region, please visit http://www.matakanacoast.co.nz.